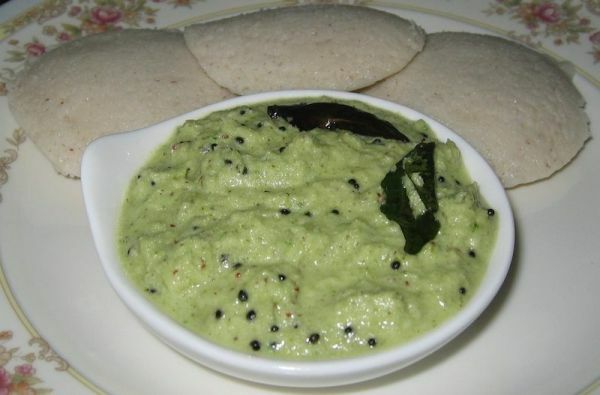 Coconut chutney is commonly served at breakfast time with sambar (lentils based vegetable stew). These are both ‘wet' dishes, so dosa (savoury Indian pancakes) and idli (savoury cakes) are served alongside them to soak them up. This mini feast is mainly popular at breakfast time in south India. 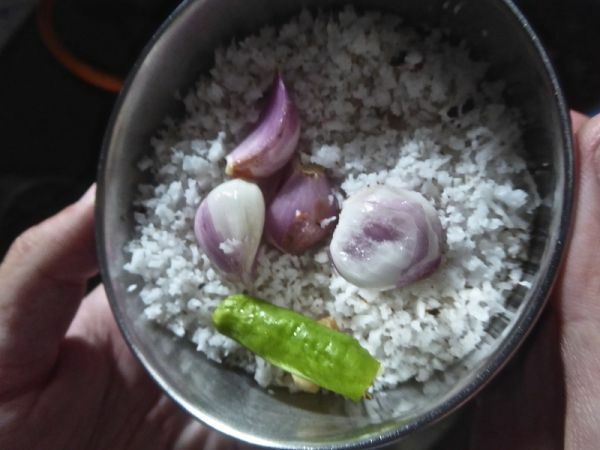 In a pot put 300g of grated coconut with the 3 small chopped onions, a small piece of fresh ginger and 1 clove of garlic and half a green chilli chopped. 2. Add 1 teaspoon of salt and a 5 fresh curry leaves. 3. Place all in a food processor to create a past. 4. Add 3 tablespoons of water to make the mixture more liquid and mix again in the food processor. 5. Heat a pan and add 2 tablespoons of coconut oil then 1 teaspoon of mustard seeds. 6. 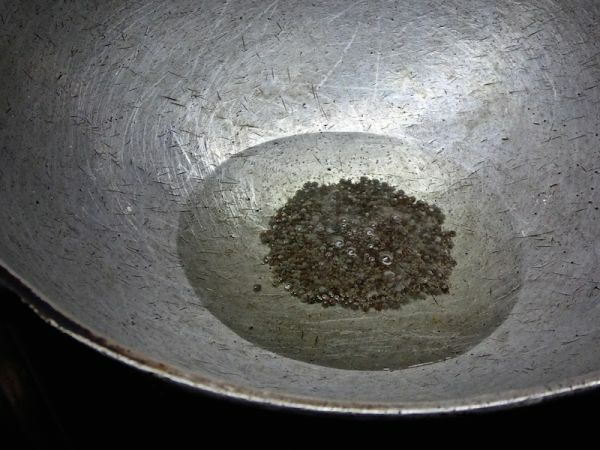 Cook the mustard seeds on a high heat, uncovered, until they start popping. 7. Mix into the mustard seeds 3 chopped onions, 10 curry leaves and 1 clove of chopped garlic and let it cook on high heat, uncovered for around 5 minutes. 8. Mix in the chutney mixture and cook for 2 minutes on a high heat, stirring. 9. Remove from heat and add to serving plate; garnish with any remaining curry leaves and chillies.